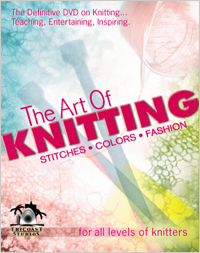 About my knitting, my hobbies, my life. I thought I might share some other projects I was working on lately. 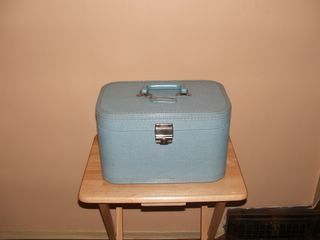 The first is an old train case made new. 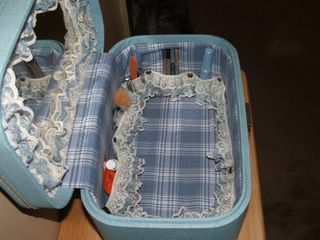 I thought I could use a change so I thought I would buy myself a new makeup case. I couldn't believe how expensive makeup cases were when I priced them. I bought this for $3.00 at a local thrift store. The inside was torn up and badly stained, but the outside isn't so bad. I removed everything from the inside and completely made new padded walls. 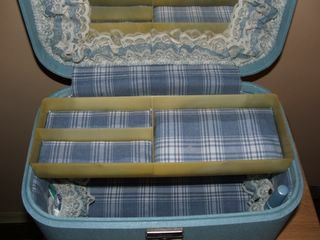 The only thing I purchased for this project was the uphostery tacks used to hold the lace strip in place, and of course the train case. Everything else I had on hand. The mirror is the original. For the lace strip that runs completely around the inside, I sewed elastic to it, and it holds items rather well. I like it better than the plastic boxes that saw. And the price was right. Train Case with new inside. 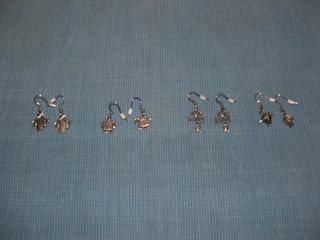 These charms I won on Ebay. I don't know how well they show up on your monitor. Going from left to right the first is a sweater on knitting needles. Second is a sheep. Third is a little sign that says "I love (actually it's a heart) 2 knit" and has a small ball of yarn with knitting needle stuck in it. And the fourth pair is a larger ball of yarn with needle stuck in it. I managed to keep myself busy whenever I can. I am a married mother of two teenagers (I now know why animals eat their young). I have a wonderful husband that I have been with for twenty years now. As if the kids weren't enough of a handful we have a cat (Purl) and a dog (Buddy). Welcome to my world.